Since the demands for high-density cabling increase, data center operators should look for devices that can provide higher performance without expanding physical space. 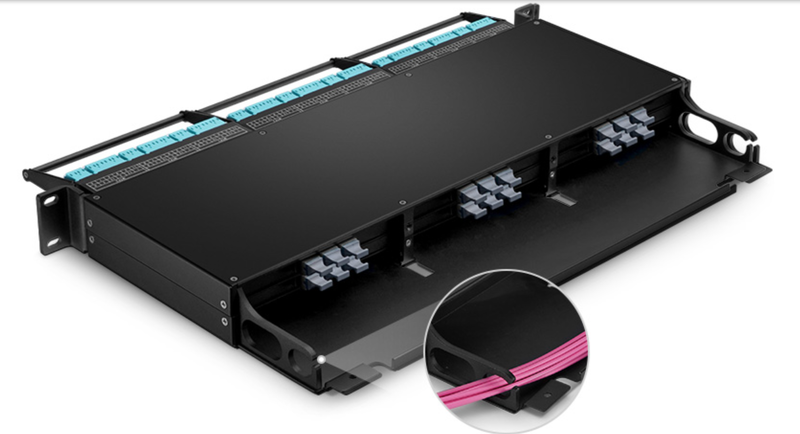 Now as a necessary fiber cable management component, the 1U rack mount fiber enclosure is widely used in data centers to house, organize, manage and protect fiber optic cables. The 1U rack mount fiber enclosure comes in different types. Today we will make comparisons of three types of FS 1U rack mount fiber enclosures as an example to give you some professional buying guidance. What Is 1U Rack Mount Fiber Enclosure? The rack mount fiber enclosure is generally made for 19 inch rack mounting and comes in rack units of 1U, 2U, 3U, 4U, or more rack units depending on the number of required connections. It offers full front and rear access with a drawer that slides forward and backward. 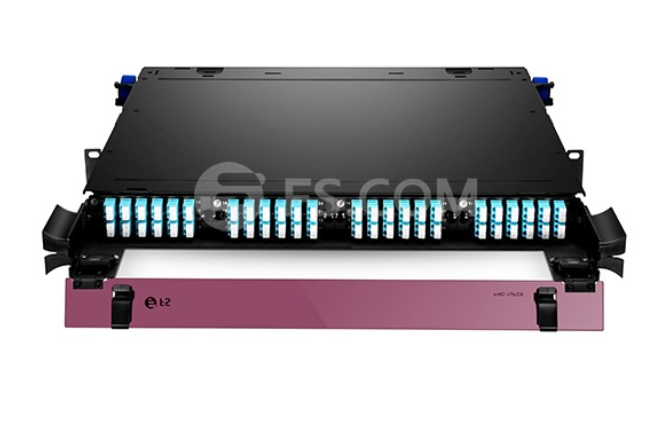 FS 1U 19 inch rack mount fiber enclosure is generally loaded with four fiber optic patch panel, cassettes or modules. There are also two ways of pulling out the tray, cover removable type and slide-out type. The slide-out type is more expensive but is more convenient for high-density cabling deployment. The slide-out rack mount fiber enclosure features the pull-out sliding trays, so there is no need to remove the whole fiber enclosure from the rack to gain internal access. There are three types of FS 1U rack mount fiber enclosures, FHZ premium fiber enclosure, FHX series fiber enclosure and FHD series fiber enclosure. FS FHZ premium fiber enclosure provides solid fiber-optic-link protection and space-saving cable management. The highest fiber densities and port counts contribute to maximizing rack space utilization. FS FHZ series 1U rack mount premium ultra HD fiber enclosure use the FHZ cassette platform to provide a premium ultra high density solution for inter-connects or cross-connects between backbone horizontal cable and active equipment. It’s ideal for ultra high density fiber applications in data centers, equipment rooms, and central offices. FS FHX 1U rack mount fiber enclosure houses 3 independently sliding drawers, each drawer is able to hold 12-port cassettes or panels by default. Also, FHX fiber enclosure can be converted to support 8-port cassettes by moving and changing the dividing rails. FHX fiber enclosures provide a system for managing fiber terminations, connections, and patching in all types of applications. They are ideal for fast, flexible and reliable patch field solutions within main, horizontal and/or equipment distribution areas (MDA, HDA and EDA). For ultra high cabling density, FHX fiber enclosure is an efficiency, flexibility and easy way for fiber cable management in data centers. There are two different types of FS FHD fiber enclosures: FHD-1UFMT-N and FHD-1UFCE. FHD-1UFMT-N can house 4 pcs FHD series MTP modular cassettes or fiber adapter panels. Equipped with a cover removable drawer, it provides a high-density flexible system for managing fiber terminations, connections, and patching in data center application to maximizing rack space utilization and minimizing floor space. FHD-1UFCE is designed to accept up to 4 series MTP modular cassettes or fiber adapter panels within a 1U space. It provides a modular system for managing fiber connections and offers best-in-class cable management for every installation. Equipped with a new-design parallel sliding drawer, FHD-1UFCE can be pushed or pulled more stably as well as faster. It also serves as a transition from backbone cabling to distribution switching, an interconnect to active equipment, or as a cross-connect or interconnect in a main or horizontal distribution area. We may conclude from the above introduction that all the four types of FS 1U rack mount fiber enclosures share similar attributes to data centers but they do exist some slight differences. You can see more specific information from the chart below. Here we list three main factors for your consideration when purchasing a 1U rack mount fiber enclosure. Firstly you should know the external specification you need, such as height, width, numbers of ports. Rack mount fiber enclosure usually comes in 48/96/144 ports. The more ports, the more expensive the enclosure will be. We suggest that you choose a bigger one for your existing requirements considering the near-future growth. Secondly you should think about cover removable type or slide-out type enclosure to better suit your situation. Cover removable type enclosure can fit your current situation, but takes more energy and time to add, move or change cables without moving or disturbing active fibre cables in the future. While slide-out type provides larger adjustment space. Most importantly, whether to choose a cost-effective one for current situation or a expensive one with high-quality for future. You should balance factors that matters to you and make the final decision. Now that you have a comprehensive understanding of four different FS 1U rack mount fiber enclosures. I believe that you are able to choose the most suitable enclosure for yourself. If you have made the decision, you can visit FS.COM and bring your favourite enclosure home. Which Type of Rack Mount Fiber Enclosures Should You Choose? This entry was posted in Fiber Patch Panel, Racks & Enclosures and tagged buyers guide, X 1U Rack Mount Fiber Enclosures on November 9, 2018 by Admin.